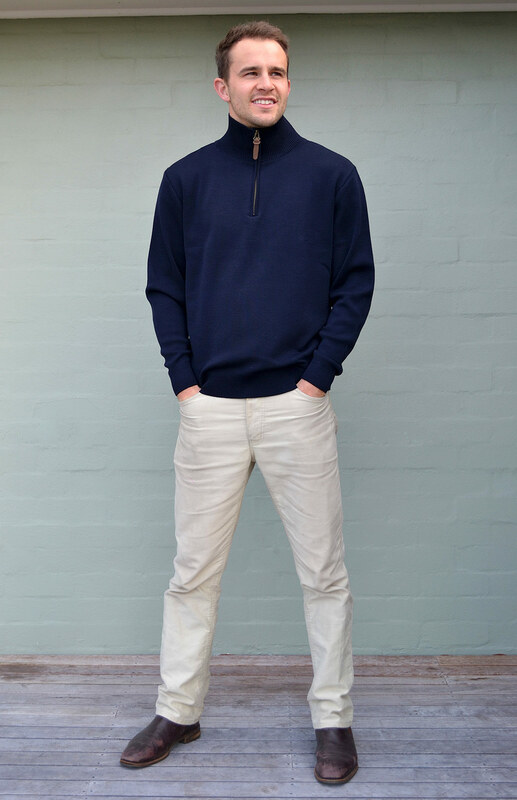 This classic heavyweight 400gsm Superfine Merino Wool Zip Neck Jumper features a generous 7cm cuff and hem detail, long sleeves with a tailored and tapered body shape. A timelessly stylish modern classic, our Woolmark grade jumper will be with you for years and years to come. This classic zip neck jumper is the perfect match for your favourite casual shirts, work shirts or thermals. Pair with your work pants or switch to your best jeans for an evening out. Zip the neck up for those chilly days or leave it open and add a Men’s Merino Scarf for extra warmth. Superfine merino avoids the itch and irritation that can occur with some chunkier wool styles, so is perfect to wear directly against the skin.